I love food. All kinds of food. 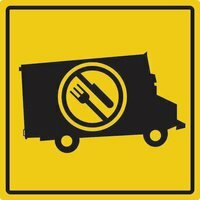 And I've recently become a fan of food that comes of of a truck. Food trucks, widely popular out west for years and years and years, have finally made their way to Cleveland, and I couldn't be happier. Sure, I'm a little biased because food trucks frequently stop at or near my place of employment, making it really easy for me to sample some of Cleveland's mobile cuisine. But...I would make the drive to sample some great food truck grub. And this weekend, I will! The first ever Cleveland food truck rally, of sorts, is being held this Sunday, March 27 in Lincoln Park in Tremont from 11am to 3 pm. Called the C-Town Chow Down, this event promises to offer live entertainment in addition to grub from more than a half dozen of Cleveland's roving food purveyors. The important thing to remember about food trucks is that their space is limited and they generally run out of food pretty quickly, so if you have your heart set on food from a particular vendor, you might want to get to Tremont no later than 11:01 am!